Looking along Casuarina Beach towards the nudist section. It is quite easy to walk along the beach and never realize you have just walked into, through and then out of a Free Beach area. 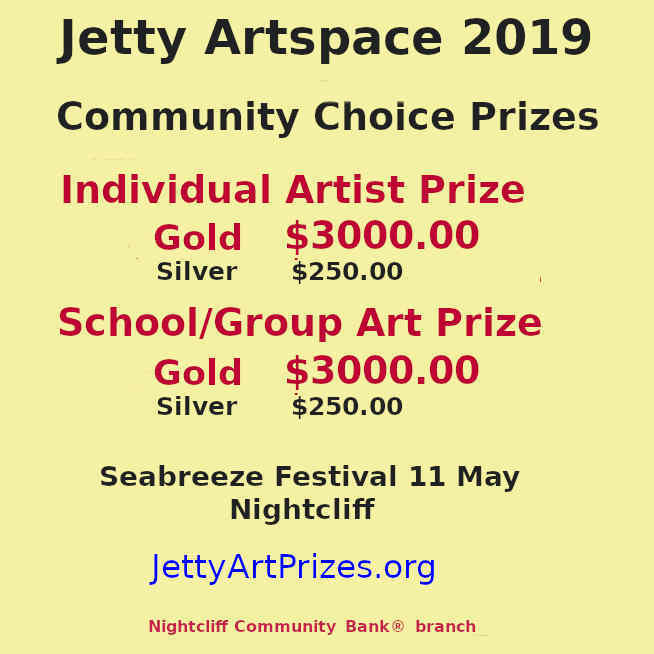 Depending on the tides, the beach can be several hundred metres wide and there are no markers on the beach itself, they simply would not survive the tides. At low tide - hard to see where the free beach section begins and ends. Of course fashion conscious people would probably notice a distinct change in the bathing costumes on the Casuarina Free Beach. The easiest way to find the Free Beach is to drive along the back of the beach and keep walking from the last car park. 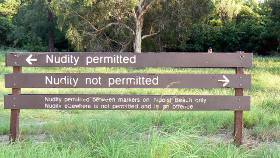 The nudist area begins about 200m past this point, which also has shower amd toilets located just off the car park. 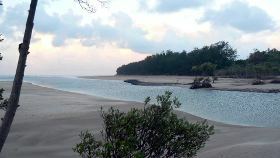 Sandy Creek seperates Casuarina Beach and Lee Point Beach. 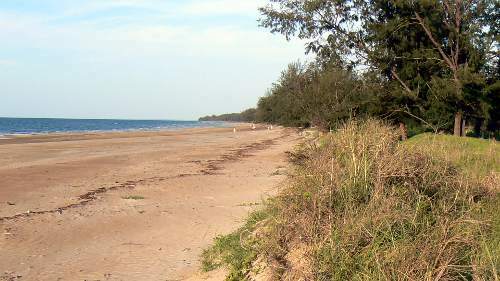 If you walk until you reach Sandy Creek, you have been through the Free Beach. Sandy Creek can be crossed at a low tide, but remember the tide comes in again so be careful not to get cut off on the way back. 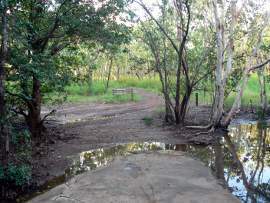 There is also a bike track into the area, beginning at the Darwin Hospital and crossing Sandy Creek and the mangroves behind the beach to emerge at the back of the beach. This bike track also runs along the back of the beach for about 2.5k to the Lee Point Beach and picnik area. 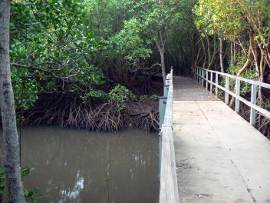 A raised walkway takes you to a different world of mangroves and mud. ...to emerge in woodlands about 300m from the hospital. 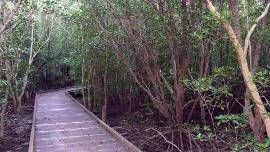 Mangroves grow all along the nothern coast and are an important part of the tropical ecology. 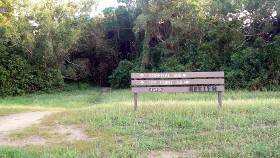 There is another simalar bike track cutting through the mangroves behind Casuarina Beach and emerging onto Rocklands Drive. 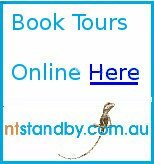 If you really want to see into the mangrove forests, you can see more of these fascinating places at the mangrove boardwalk behind Lake Alexander or at Charles Darwin National Park.